Dragons are my favorite supernatural creatures. 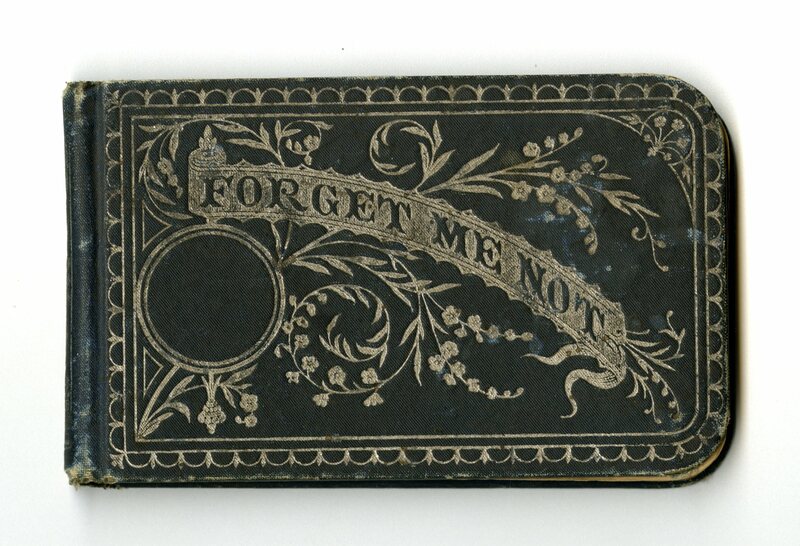 Maybe it’s not surprising, then, that I found a way to research them as part of my new job working for the University Archives. As part of IU’s 2018 Themester, which focused on the relationship between human and non-human animals, I started researching animal folklore in the IU Folklore Institute student papers, and quickly ran into Henry Gaidoz’s massive collection (GR55.G35 H46) in the related IU Libraries’ Folklore Collection. This French folklorist and mythologist collected texts about everything from Zoroastrianism to cannibalism, including an entire box of writings on dragons. At the bottom of that box, I found Marinus Willem de Visser’s 1913 missive The Dragon in China and Japan (Box 24, Item 568). This book contains hundreds of pages of descriptions of Chinese and Japanese dragon beliefs and traditions, including instructions on how to summon a dragon to make it rain. M.W. 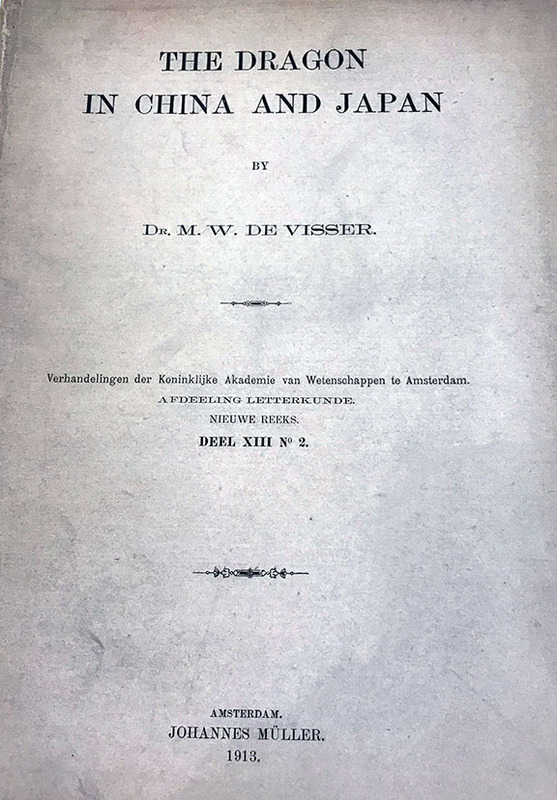 de Visser, like Gaidoz, had a range of interests. He was a Dutch scholar who studied Chinese and Japanese folklore, but his works have become particularly well known in the field of cryptozoology, the study of supernatural creatures. In The Dragon in China and Japan, he chronicles the ways that dragon beliefs and rituals moved between India, China, and Japan, drawing along the way from Taoism, Shintoism, Buddhism, and Hinduism. His book begins by describing beliefs that came from India, then moves into the way those ideas were absorbed into existing traditions in China and Japan. As I read, I realized what a vital role dragons play in eastern Asian traditions, particularly as water gods capable of starting and stopping rain. Much of the western literature I had previously encountered depicted dragons as embodied metaphors for the human qualities of greed, violence, and wisdom. In China, however, dragons have been worshiped as deities, used as symbols of national identity and political authority, and are still seen today as figures with the potential to bless a community with rain or stop a flood. I was interested in these practices because of my love for all things dragon-related, but also because my home state of Utah was at the time suffering from drought and a series of terrible fires. I decided to combine some of the things I learned from Visser’s text with my own traditions and ask a dragon to bring rain to my home town. Chinese and Japanese beliefs in dragons are complicated and emergent, and they are not my area of study. However, based on Visser’s work as well as other texts, I identified what seemed to be some key aspects of these traditions. Ancient Chinese beliefs about dragons describe them as “enormous light-giving mountain gods” who helped create life and have power over the weather as well as other aspects of the environment (62). These long-standing beliefs combined with Buddhist and Hindu influences to form contemporary dragon worship practices, including the widespread belief in Dragon Kings. Dragon or Serpent Kings are local gods that live in specific lakes or rivers and can be petitioned to create or stop rain. Many are depicted as having bodies that are part serpent and part human. 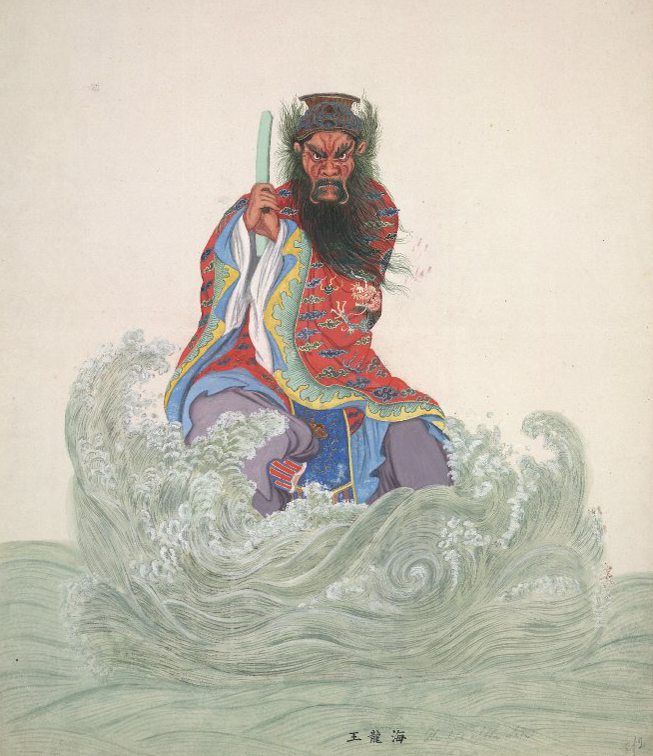 “The Dragon King of the Four Seas” 1801-1850, located in the British Museum. 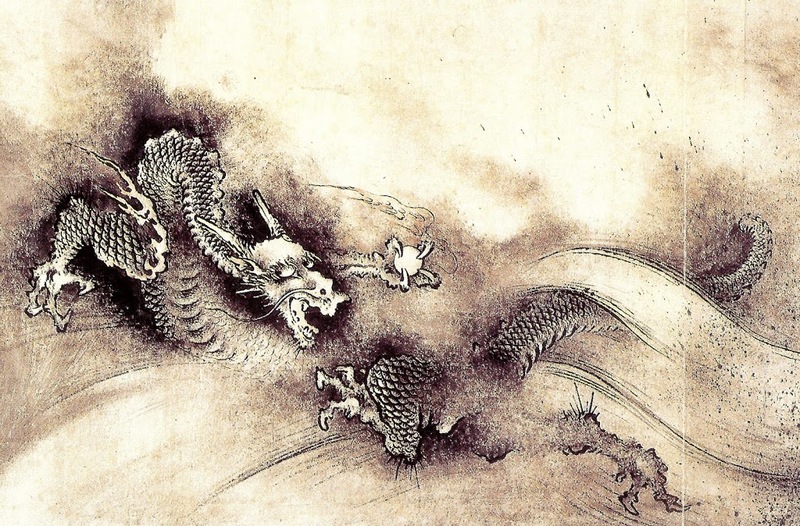 It is difficult to delineate how and where specific parts of dragon worship in China originated, but Visser outlines several examples of asking dragons for rain that come from Taoist and Buddhist traditions. In general, there are two types of strategies for communicating with dragons, both of which rely on knowing what the dragon either likes or dislikes. The first is performing a ritual to ask the dragon for help, which involves praying, providing offerings, and reciting sutras or sacred texts. These rituals often include images of specific dragons and items that are the color blue (the color of one of the most important dragons), and are done while facing the direction of the particular dragon you are trying to summon (often east) (30-32). The second strategy is to agitate the dragon to cause it to move, which can involve pulling small statues of the dragon in and out of the water, making loud noises near the shoreline, or throwing items the dragon dislikes (often iron and the Wang plant) into the river or lake (69). My version of summoning the dragon was based on the two types of rituals described in Visser. First, I read about the Great Cloud Circle (or Wheel) rite. This Buddhist petition must be performed in an open space, under a blue canopy and a blue banner and on a blue seat facing east. There are additional instructions for who can perform the ritual and what they must be wearing, as well as the offerings that should accompany the performance. In this ritual a religious official or influential lay person recites the sutra or dharani of the Great Cloud Circle for one to two days while others play music and sing for the dragon. 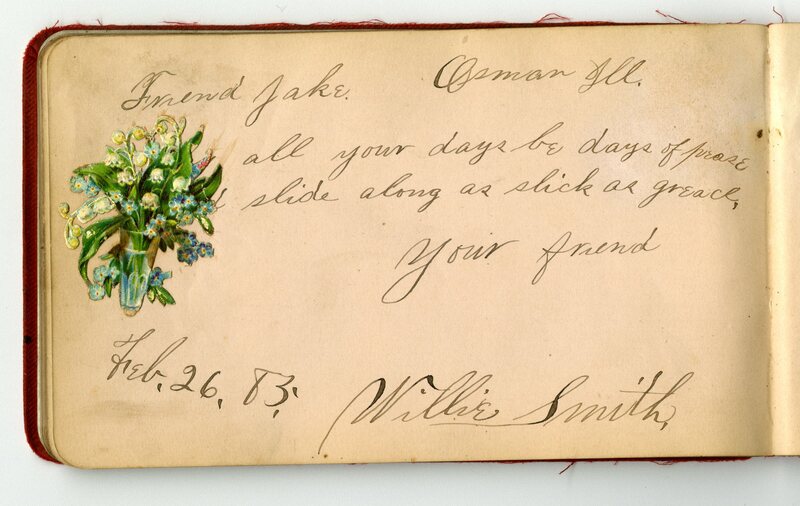 Then they burn offerings, including a paper figure with a message in his hand asking for rain. The act of burning this figure is supposed to allow him to take his message to heaven (32). The second strategy I drew from is a practice associated with the dragon boat festival (such as this one in Washington D.C.), an annual celebration in which people race dragon boats and place dumplings wrapped in leaves and tied with five-colored thread in the water. There are many different versions of the story behind this festival –one of the most common is that it commemorates the poet K’uh Yen, a loyal man accused of treason who committed suicide, and the race of the villagers to save his body from being eaten by placing other food in the water. However, Visser and other scholars suggest that this celebration comes in part from an earlier festival which may have been intended to worship dragons. Visser suggests the act of racing symbolic representations of dragons and placing food wrapped in leaves of a plant that dragons would not like in the water were intended to make the dragons race or fight each other, causing a rainstorm (68). After reading about these and other ways to communicate I wanted to respect these traditions but also perform my own ritual in a way that was personally meaningful, so I combined these ideas with what I had on hand. Part of the problem was that I was not asking for rain where I currently was–Indiana had plenty of water–so I spoke to Tam Iverson, a graduate student at the University of Tartu, Estonia, who is familiar with beliefs about rain summoning in many cultures. He suggested that I use a fulcrum, or something that emotionally connected me to the place where I was asking for it to rain. I knew my Dad was coming into town that weekend, so I waited for him to arrive and planned that we would figure out the materials and fulcrum together. Coincidentally, the day we planned was also the day of the fall equinox, which according to Visser begins the period in which dragons begin a period of hibernation (66). 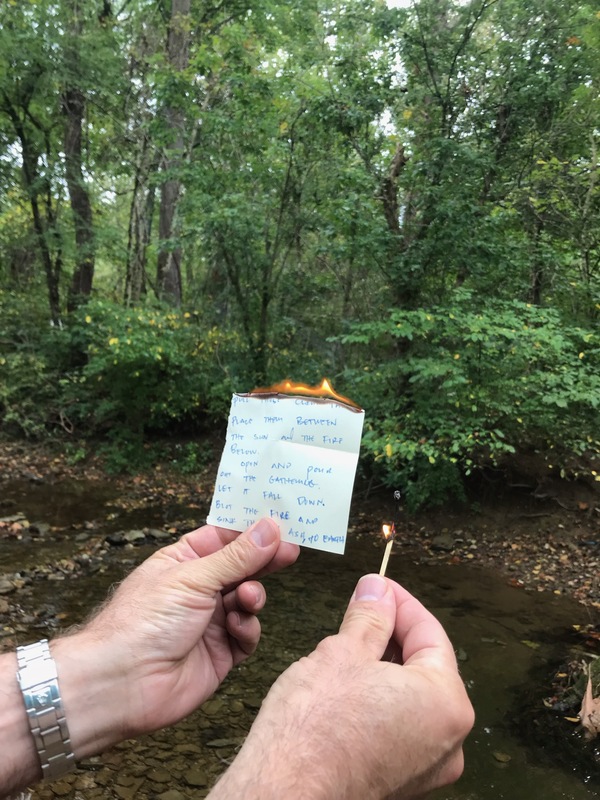 That weekend, we picked a stream near my house and I found a blue scarf given to me by my grandmother to act as a “blue banner.” My Dad and I wrote messages on pieces of paper and brought matches to burn them. I didn’t have dumplings or the specific leaves mentioned by Visser, so I wrapped a cookie in the leaves I found near the stream and tied it together with five colors of thread. We brought a blue umbrella as the blue canopy, and as the fulcrum and a text to read, I brought a childhood story book with a blue cover. I read the book out loud, we placed the cookie wrapped in leaves and thread in the water, and then burned our messages. It was raining while we did this in Indiana, but the forecast for Utah was no rain for the next week. I have no idea if we summoned a dragon, and if that was possible whether that dragon would listen to anything we had to say. But I learned about beliefs I would never have otherwise, and I felt strongly the importance of having personal rituals that allow you to communicate with the world around you. Also, I don’t know that it didn’t work. So thanks, dragon. 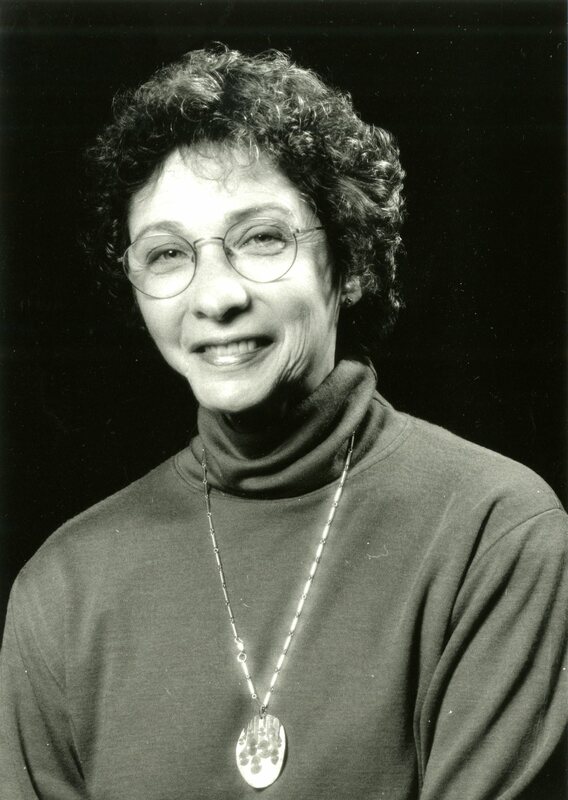 We are happy to announce that the papers of Esther Thelen (1941-2004), former professor of psychology at Indiana University Bloomington and a prominent figure in the field of developmental psychology, are now available for access at the University Archives. After receiving her undergraduate degree in zoology from the University of Wisconsin in 1963, Thelen took a break from academia to begin her family before beginning graduate studies in zoology at the University of Missouri. 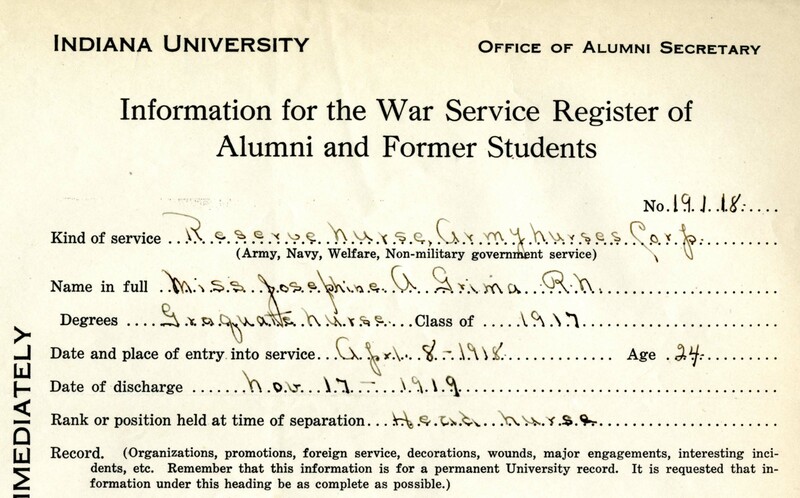 It was there that she took a graduate course in animal behavior, which set off a chain of connections that would eventually lead to her impressive tenure as a professor and scholar in the field of developmental psychology. While Thelen was conducting a study on the grooming behavior of wasps, the repetitive movements of the wasps reminded her of psychologist J. Piaget’s observation of circular reactions in the movement of human infants. Inspired by this connection, Thelen conducted a descriptive study of 49 different types of repetitive movements in infants, for which she earned her PhD in biological sciences in 1977. After spending a few years as an assistant professor at the University of Missouri, Thelen came to Indiana University Bloomington as a full professor of psychology in 1985. 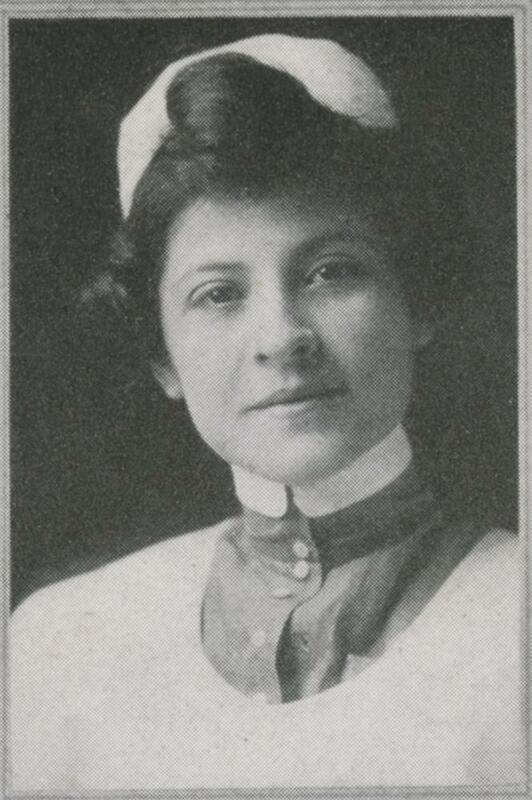 While at IU, she founded and directed the Infant Motor Development Laboratory, where she and her colleagues studied infant movement, perception, and cognition. 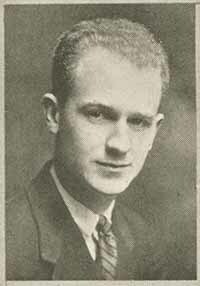 With a research output that included three books and over 120 scientific articles and chapters, Thelen made many revelations about infant motor development that influenced scholarship in fields as diverse as pediatric physical therapy, neuroscience, computer science, robotics, and kinesiology. 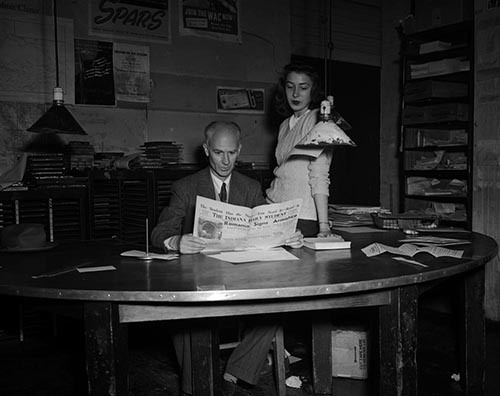 Thelen gave talks at universities, conferences, and workshops all over the world, and her influential work was often featured in national media sources. In this 1993 clip from the PBS program Scientific American Frontiers, the cameras follow along as Thelen and her colleagues take a ride in their “Mobile Research Laboratory,” a bus containing portable equipment essential to their studies of infant movement. 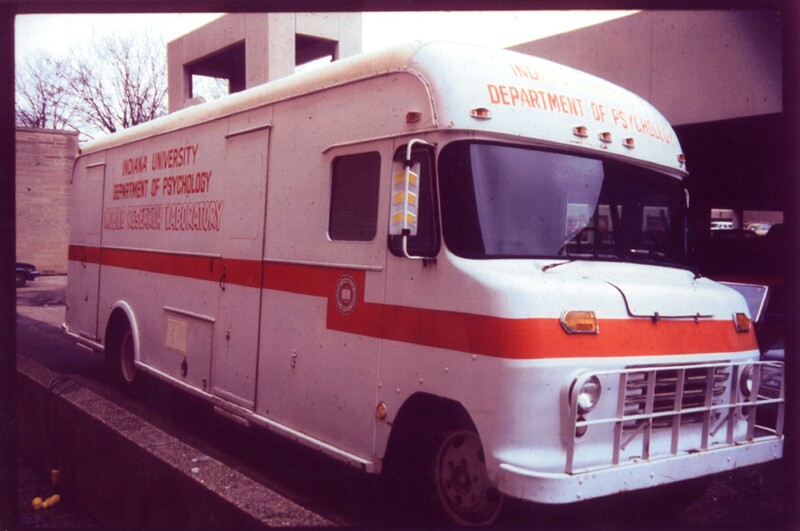 This Mobile Laboratory enabled Thelen and her colleagues to travel to the homes of their infant research subjects in order to perform their studies remotely. 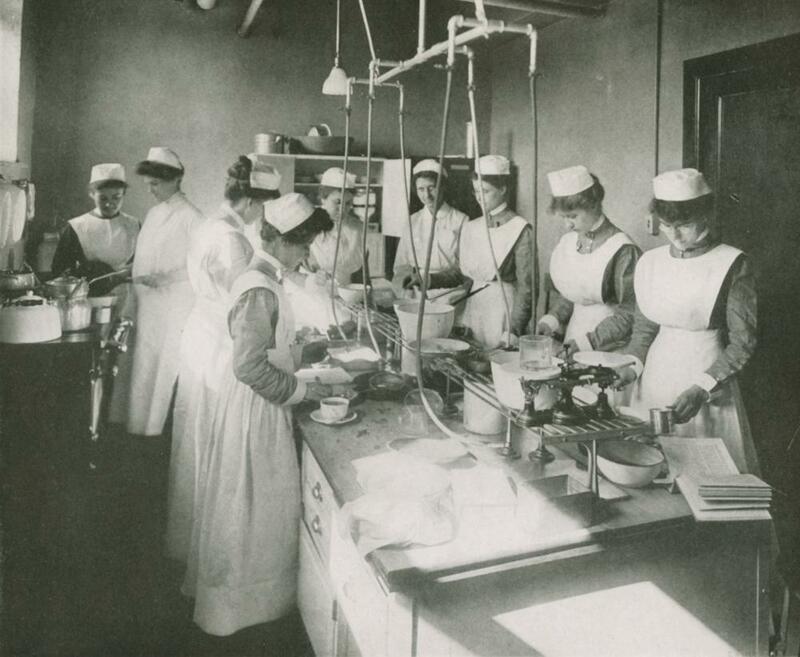 The clip also shows Thelen working with her subjects in the Infant Motor Development Laboratory on campus. 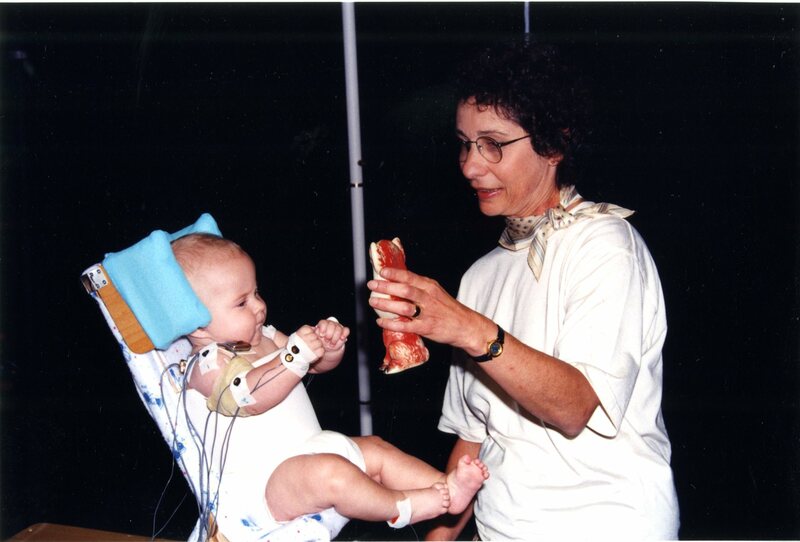 During her tenure at Indiana University Bloomington, Thelen set a new standard for studying motor control and coordination in infants. 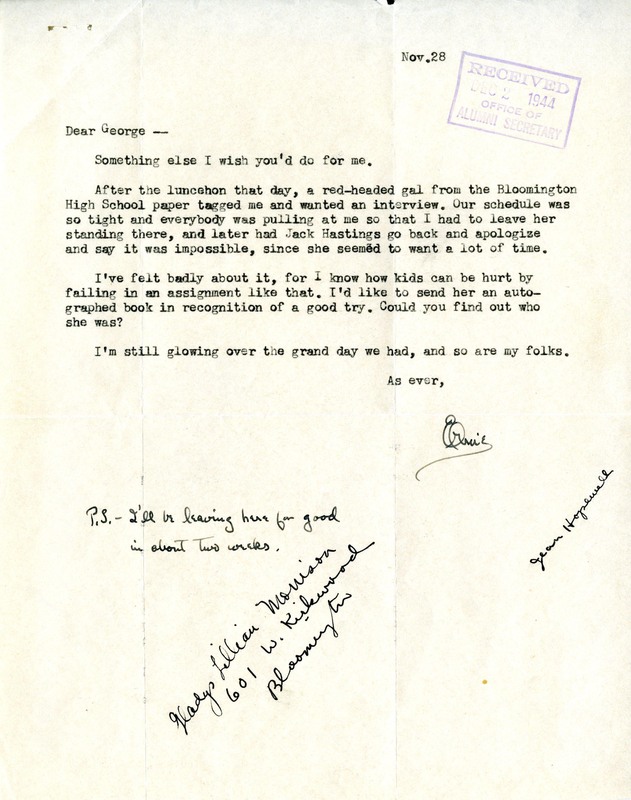 Her collection at the University Archives includes materials such as personal files and correspondence; documents related to public speaking appearances, publications, and leadership roles in professional organizations and committees; educational materials from psychology courses taught by Thelen; and materials related to Thelen’s research, including handwritten notes, drafts of studies, and original U-Matic videotapes of research subjects. 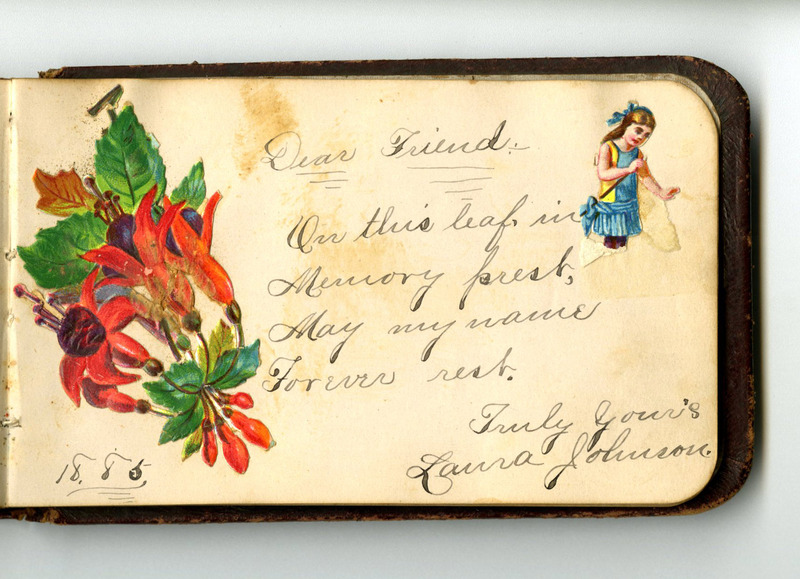 To learn more about the Esther Thelen papers 1977-2005 or to view the collection yourself, please feel free to contact the University Archives to set up an appointment.